Home / Unlabelled / Italian doctor wants to transplant a human head, and it's not a joke! Italian doctor wants to transplant a human head, and it's not a joke! 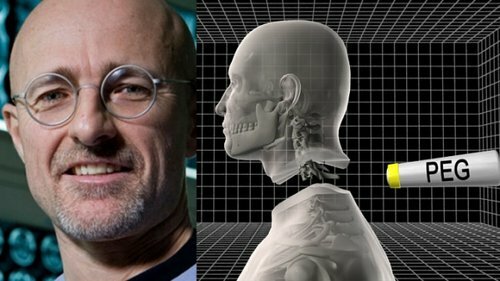 Perhaps you've heard the Italian doctor Sergio Canavero, the neurosurgeon, who has announced that it plans to transplant the head of a man of a new body within two years. The news was reported by media around the world, almost always with comments incredulous if not scornful. According to most of the newspaper headlines, it is nonsense: "No, the transplant of human head will not be made by 2017," they wrote Popular Science and Wired. "It is not realistic," adds International Business Times. When I started talking about it at work they have said that is just crazy, impossible. They made jokes about the head of Ted Williams (a great baseball star who died in 2002), which at the moment is frozen in Arizona and is waiting for a new body. Yet, I'm not sure whether it's a madness, even if it were to become a reality in 2017. The more I read about the history of transplants, surgery on the spinal cord and on experiments done so far using the head of primates, more questions come in mind. And the question does not seem a joke. Animal experiments are already a reality, and the proposal for a human transplant does not seem a marketing gimmick: Canavero in June will be the keynote speaker at the conference of the American Academy of Neurological and Orthopedic Surgeons to be held in Annapolis. The doctor is the director of Advanced Neuromodulation Group, a research center based in Turin, and in February he wrote a scientific paper in which he proposed a technique of fusion of the spine, GEMINI. In this video he explains his project in a Ted Talk held in Verona. The Italian doctor Canavero, already has a volunteer for its operation: Valery Spiridonov, a Russian programmer of 30 who suffers from the syndrome Werdnig-Hoffman, a neurodegenerative genetic condition that affects the nerves and muscles. In an interview with Motherboard, Spiridonov says he's not able to walk since he was one year. The man has been proposed as a volunteer in April. The body on which would be grafted his head would instead that of a donor currently in condition of brain death. The difficulties of a transplant of a human head are countless: being able to keep alive the brain during transfer, join the two broken spinal cords and make them communicate, prevent the body from rejecting the head. And these are just some of the scientific difficulties. You just use a whole body to save one person, when his organs could save many? How much we would be willing to pay for the surgery? What if a potential patient - that such is dying because of an incurable disease or is quadriplegic with dysfunction in various organs - could survive for long, but instead "stuck" in a paralyzed body? If the project of Dr. Canavero deemed unenforceable, we must still ask ourselves whether we really hope that, sooner or later, transplantation of the head (or body, depending on your point of view) will become possible. Meanwhile, let's look at history. The head transplant has never been completed successfully on other animals? The answer is not entirely negative as one might think. To be clear, I'm not justifying this kind of experiments. Many do not respect those who are the current standard for research on animals, that exist for good reason. But we can get an idea about the milestones of trade in the head. 1908: Adding the head of a dog. Charles Guthrie attacked the head of a dog on the neck of another, joining the arteries so the blood to flow first towards the decapitated head then towards the other. The head was left for about 20 minutes without blood supply and regained a minimum capacity of movement. 1950: Other dogs with two heads. Vladimir Demikhov, pioneering transplant of heart and lungs, attacked the upper parts of the bodies of young dogs behind other as adults, creating dogs with two heads both able to move, see and even drink. But without anti-rejection drugs most he survived only a few days: just one of the "hybrid" resisted for 29 days (here the images taken from the article that appeared in LIFE in 1959. Warning, may be impressive). At the time these experiments did not provoke much enthusiasm. Also the author of a recent article on celebratory Demikhov emphasizes that for most of the surgeons of the time research of this type had a scientific value to say the least doubt. 1965: Transplant canine brain. Robert White of Cleveland General Hospital transplanted six brains of dog in the neck of the other dogs, to show how the brain could survive in another body. The electroencephalogram noted electrical activity in the brains transplanted, which also consumed oxygen and glucose. But it remains unknown what they were doing, if something did, caught in a neck. 1970: the first transplant of head of monkey. Robert White transplanted the entire head of a Rhesus Macao on the body of another. The monkey could see, hear and eat but White did not try to fuse the spinal cords. The macaque survived for a few days after the transplant. 2002: Transplant of the head of a rat at a low temperature. A group of scientists in Japan attacked heads of small rats on the thighs of adults brains cooled to prevent the damage linked to the loss of oxygen. Brains have continued to grow for three weeks. 2013: Canavero proposes the human head transplant. In an article on Surgical Neurology International the Italian surgeon outlines a procedure that includes a clean cut of the spinal cord to minimize damage and the use of polyethylene glycol (PEG) to merge it with the other. 2014: Transplant head of mice. Xiao-Ping Ren and colleagues in China reported an exchange between heads of mice, with a resulting white mouse in black head and back. The mice survived for three hours after they have been disconnected from a lung ventilator. It is a time reduced, but if the head was grafted onto the brainstem of the donor of the body, this would continue to monitor heart rate and breathing. February 2015: Canavero explains the details of the procedure. In an article in Surgical Neurology International aims to cool the head and body of the donor to limit the damage to cells caused by loss of oxygen, and to fuse spinal cords with a procedure called GEMINI, which uses PEG and electrical stimulation and that, in other studies, it has been shown to promote the repair of spinal cord. Ultimately, a few steps on the road to head transplant was done, even if it as such depends on the idea that everyone has success. I personally doubt that these results will lead droves of people to get in line for the head transplante.